Islay is the home to many of the greatest and most famous scotch whisky distilleries. Among the still active distilleries, for example, you will find Ardbeg, Bowmore and Laphroaig. On top of that, already silent distillery legends like Port Ellen had their home address on Islay too. So Islay whiskies are highly sought-after anyway. And if you add a portion of artificial rarity, things can go crazy. Feis Ile bottlings are initially only sold to visitors of the annual festival. So if you want one, you need to travel to Scotland and hope for the best that you find a place to sleep. Or you wait until those bottles come to the auctions, which usually happens right away. So what happens when these bottles finally made their way to the secondary market. Does the hype continue? And how do these bottlings compare to the standard, non-feis-ile bottlings? To find out we use our Islay index as a benchmark. Compared to the normal region index though, this time we filter out Feis Ile bottlings. For comparison, we also build an index that summarizes all the prices from all the Feis Ile bottlings. These indices start in January 2011 at a value of 100. So what they display is the price change of the included bottles over the last five and a half years. Surprisingly (or not) the Feis Ile bottlings are way behind the other Islay whiskies in terms of secondary market price changes. While the index for Islay without the Feis Ile bottlings pretty much mirrors the standard Islay index, the Feis Ile bottlings only gained roughly 25% in value over the past 65 months or so. In our whisky database we find 98 different Feis Ile bottlings. Simply type in “Feis Ile” in the Quicksearch of our database to find those bottles. These of course include expressions from all currently operating Islay distilleries as well as two bottlings from Jura and even one from Port Ellen, the incredible rare Port Ellen 27yo (1981) Feis Ile 2008. This is a Port Ellen single cask bottling (from Cask 1301) and the price history accounts for this extraordinariness. We see two angles from which we want to look at the Feis Ile bottlings. First we want to compare the different vintages. Are there any years that were particularly interesting for the whisky collectors? Or do we see the same patterns across all years? The second perspective is the one by distillery. Maybe it is one particular distillerie´s festival bottlings that outperform the others in terms of value increase? The oldest Feis Ile bottlings we find in our whisky database are the Laphroaig 17yo (1987) Feis Ile 2004 and the Laphroaig 13yo (1992) Feis Ile 2005. Both these whiskies experienced a substantial increase in value over the past three years. While the prices for the above Laphroaig Feis Ile 2004 climbed from around 1100 Euros to 1350 Euros the Laphroaig Feis Ile 2005 gained almost 70% in value over the last 36 months. For the years of 2006 we find three Feis Ile bottlings. These are the Bowmore 6yo (1999) Feis Ile 2006, the Bunnahabhain 14yo Feis Ile 2006 and another Laphroaig, the Laphroaig 12yo (1994) Feis Ile 2006. For the below comparison of Feis Ile vintages we leave out the years of 2004, 2005 and 2006 since we only have one, two or three different whiskies from these respective vintages in our database. For the years of 2007 an onwards we find at least five different Feis Ile bottlings each. To compare these different vintages we simply calculated one index each which summarizes the price movements of all Feis Ile bottlings from the respective year. Obviously, the indices from later vintages do not move until those bottles appeared on the secondary market. Also note that for this purposes we excluded the above Port Ellen. So what is it that we see here? The Feis Ile 2008 bottlings (orange line) lost massively in the second half of 2015. This is mainly due to the Bunnahabhain 21yo (1986) Feis Ile 2008 but also holds for the Lagavulin 15yo (1993) Feis Ile 2008 and the Laphroaig Cairdeas Feis Ile 2008. By August 2016 the included eight bottles of the Feis Ile 2011 vintage (purple line) gained the most value (55% over five years). The vintages of 2014 and 2015 are the only ones which lost value. The fourteen whiskies of the Feis Ile 2015 vintage even lost 35% in value since they were released a little more than a year ago. The most recent Feis Ile 2016 expression already gained 17%. From what we see for the older vintages chances are high that the prices for the 2016 bottles fall again somewhen soon. For our analysis of the Feis Ile bottlings by distillery we leave out Jura and Port Ellen. Hence, the distilleries under investigation are Ardbeg, Bowmore, Bruichladdich, Bunnahabhain, Caol Ila, Kilchoman, Lagavulin and Laphroaig. It seems like Lagavulin and Laphroaig issue the most wanted Feis Ile bottlings. The Ardbeg festival bottlings significantly lost since the beginning of 2015 and are way behind the standard distillery bottlings. On the bottom we find Kilchoman and Bruichladdich. Both distilleries´ Feis Ile bottlings lost 15% in value since January 2013. So when looking at the above two graphics (the Feis Ile by year and by distillery) the prime Feis Ile bottling should be a Lagavulin from 2011. And indeed we find the Lagavulin 13yo (1998) Feis Ile 2011. The price history of this whisky even matches the results from above. The first trades come from June 2011 for around 230 Euros. The latest price observations come from August 2016 and ranged from 430 to 530 Euros. So this Feis Ile whisky more than doubled in value which is indeed outstanding. So good job, Whiskystats analysis. Overall we get the impression that the Feis Ile bottlings do not get the attention on the secondary market that we might had expected. Sure, there are some single whiskies which significantly gained in value but this is less than we got used to when looking at other bottlings from Islay. So one could start guessing what could be the reason for this. Maybe it is because these whiskies are pretty much only available through auctions, so not a lot of people know them. And we of course have to keep in mind that we only cover the price changes on auctions. The Feis Ile hustle and bustle could cause the initial prices to be high and hence chances are good that there won’t follow any tremendous price increases. But then again, we are only guessing. In March 2018 the Whiskystats Whisky Index experienced a small setback, the Yoichi 20yo Single Malt reaches new record prices and a Black Bowmore release is now trading for more than 10.000 Euros in Germany too. 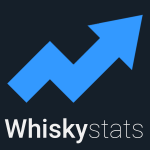 Here it is, the Whiskystats Price Update for March 2018! This topic contains 0 replies, has 1 voice, and was last updated by Whiskystats 2 years, 7 months ago.